A rounded blend of protein, fats, and carbohydrates for a complete meal replacement formula! 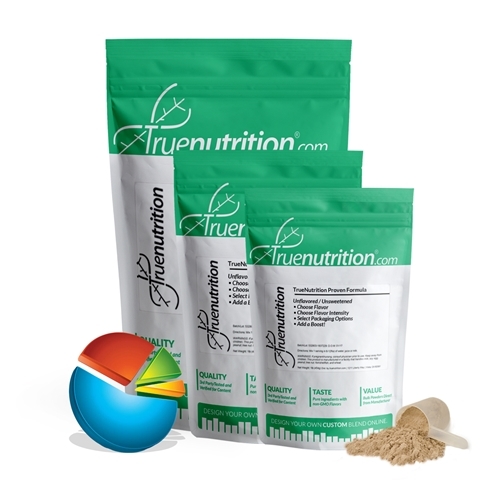 True Nutrition proudly presents our signature Female Meal Replacement Formula, a unique blend of protein, fats, and carbohydrates that have been combined to provide a complete meal replacement formula! When paired with a rounded diet and exercise routine, the Female Meal Replacement Formula is intended to take the place of a standard whole foods meal, while providing a protein-rich ratio of 5:2:1 protein to fats and carbohydrates. Uses: Meal Replacement: Provides 21g of protein, 4g of fat, and 2g of carbohydrates per serving! Whey Protein Isolate (Milk), Micellar Casein (Milk), Avocado Oil Powder (Avocado Oil, Maltodextrin), Virgin Olive Oil Powder (Virgin Olive Oil, Maltodextrin), Lecithin (Soy).